November is Diabetes Awareness Month. Since a great number of Skinny Fiber customers are people with diabetes, high blood pressure, digestive and other health issues, I want to share this information with you. This is not your average list of diabetes symptoms and statistics; nor do not promote any type of bariatric weight loss surgery. I obtained this information through research and still believe that natural weight loss is the best route for most people. This is why I chose Skinny Fiber for natural appetite control and weight loss. On the other hand, the following information on gastric surgery has opened my eyes to the benefits of bariatric surgery for people suffering from diabetes, high blood pressure and heart disease cause by obesity; especially type 2 diabetes symptoms. If you agree after reading this article, please make sure to click the SHARE buttons under the title of this article so that you can post this information for others to read. 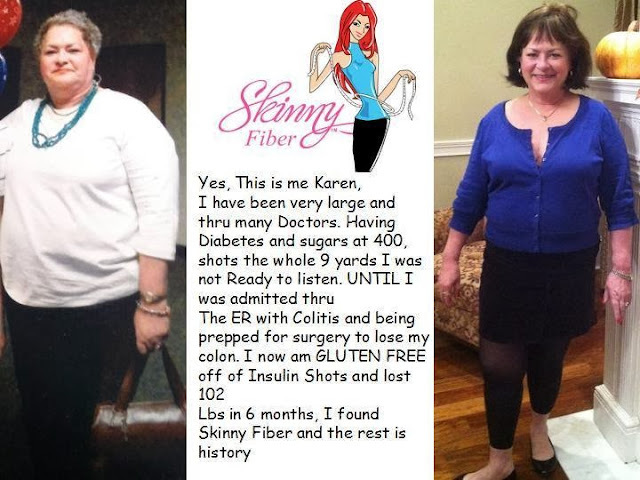 Karen lost 102 pounds and no more insulin shots since losing weight naturally with Skinny Fiber. About 35% of Americans were considered obese in 2012. At the same time, more than 20 million of these people had diabetes (more than 90% of obese people with Type 2 Diabetes). This shows an obviously correlation between obesity and diabetes in America; high blood pressure, heart disease, stroke, kidney disease, cancer and diabetes are all conditions / largest symptoms of obesity to date. This why researchers have been working for years to find out just what the relationship is between obesity and diabetes as it is estimated that obesity statistics will climb to 42% by 2030 with 11% morbidly obese in the population. This places people with obesity even more at risk for diabetes and other diseases including the 17% of obese children in the nation. A breakthrough came and has been built upon since in 2007. It stems from a study and treatments over the years so that Bariatric Surgery is #1 on the list of Top 10 Innovations for 2013. Results since the study have been placed in Diabetes Care in 2013 and the New England Journal of Medicine in 2012. The Cleveland Clinic researchers discovered that gastric bypass surgery helped to cure type 2 diabetes instantly in some people and that gastric sleeve surgery helped cure diabetes over a short amount of time; some patients getting off medications for 2 years and others reducing the amount of medications or off diabetes medication completely. Prior to this discovery, researchers were focusing on curing diabetes using medications. This is pertinent because about half of the people who take medication for diabetes are now able to control their disease. The problem is that the other half live with diabetes symptoms almost daily. If this is you or someone you care for, then you understand why it was so important for researchers to find a cure to diabetes or how to reverse it. Is Weight Loss The Cure To Diabetes? To make their findings, the Cleveland Clinic enrolled 150 people who suffered Type 2 diabetes into their study in 2007. They conducted gastric bypass surgery on 50 of them. Gastric bypass surgery is usually conducted as a last minute resort, when all other weight loss methods have been tried and have failed. It is usually done when the life of the patient is in danger because of the extra weight that they are carrying. Relatively speaking, the procedure involves reducing the stomach bag from the size of a football to the size of a golf ball. This means that the patient is not able to eat as much as they used to. Sounds like an amazing change, though there are complications from gastric bypass surgery. Regardless, the second group of 50 patients was given sleeve gastrectomy surgery (gastric sleeve surgery). It is similar to gastric bypass surgery but it reduces the stomach from the size of a football to that of a banana. These last 50 patients were offered better nutrition and counseling and they were kept on their medication. The results were more than a little surprising. SCROLL DOWN TO SEE MORE DIABETIC WEIGHT LOSS PICTURES & READ THEIR TESTIMONIALS! Costs of Diabetes & Cannot Afford Gastric Surgery? The cost of diabetes was estimated at $245 billion in 2012. This is a 41% increase from $174 billion in estimated costs of diabetes in 2007. With these figures at an all time high one would presume that bariatric surgery would be available to all that need it. This is not the case. Gastric sleeve and gastric bypass surgery is expensive and with the economy as it is today many people are just not able to pay their medical bills let alone undergo surgery. Some insurance companies will not pay for the gastric surgery even with doctor recommendation, therefore what is left for a person that is obese with Type 2 diabetes and trying to lose weight? Is it possible to lose weight on your own if you need to lose 100 pounds or more? You see this all of the time on TV and with weight loss pictures on the Internet. People get tired of being over weight with symptoms from bad health and choose to do something about it on their own. Is it possible for people that are obese with diabetes to lose weight and reverse this issue on their own? Yes, though surgery increases the likeliness because of how it decreases the size of the stomach, therefore decreasing the risk of weight gain again. With natural weight loss there are factors like how long you have had the disease, how much weight you need to lose and whether you can keep it off long term that affect whether a person with obesity can reverse or cure diabetes through weight loss. Can I cure my diabetes with weight loss? Shows like The Biggest Loser give hope that you can shed hundreds of pound through hard work and commitment. These are real people that are fortunate to get the help they need to lose weight. The first thing they change is diet and portion control; eating the right number of calories of healthy food every day. Exercise is also the key to weight loss when you are obese. It is hard work and there may be tears along the way, but a necessary option. It is very difficult to manage the kind of exercise needed to lose more than a hundred pounds alone. Most people find it beneficial to hire a personal trainer. This will cost money, though it is definitely a lot cheaper for a personal trainer than to pay for gastric surgery. Yet, you can lose a lot of weight with commitment and help from family, friends and your doctor! As you lose weight, let the doctor measure your insulin levels; it will encourage you to exercise even harder when you see them dropping. Can you cure type 2 diabetes with weight loss? The study determines that it is possible to cure type 2 diabetes through gastric surgery and at least reverse it; both scenarios dependent on the person. It is not easy to confirm a cure or ability to reverse diabetes through weight loss because most obese people do not keep the weight off long enough for the long term benefits. Bariatric surgery helps keep the weight off and therefore puts those people at benefit. Yet, different complications can result after gastric surgery. In both cases there is also the factor that it is harder to cure diabetes in people that been dealing with it longer. Diabetes & Skinny Fiber. Can Diabetics Take It? How does all of this relate to Skinny Fiber and diabetes weight loss? Many people ask if diabetics can take Skinny Fiber. Although I always suggest that it is best to consult with your doctor first, we so have many distributors and customers with Diabetes taking Skinny Fiber. They share their success and improvement to diabetes using Skinny Fiber for weight loss opposed to gastric bypass surgery. Lana had her thyroid removed and struggled to lose weight. She no longer on diabetes medicine since her weight loss. 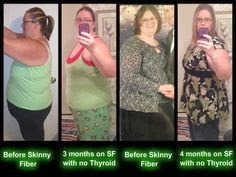 Here's her Skinny Fiber results. Michael lost 74 pounds, 36+ inches and takes off 3 diabetes medications as well as others. 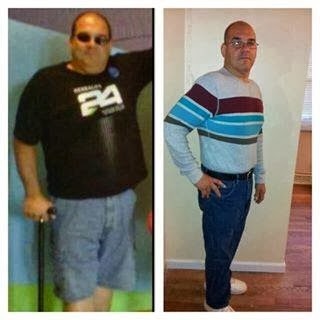 Read his weight loss journey! Sonya is a mother that lost 40 pounds taking Skinny Fiber for over a year; she is no longer at risk for diabetes and no more meds for high blood pressure and acid reflux. 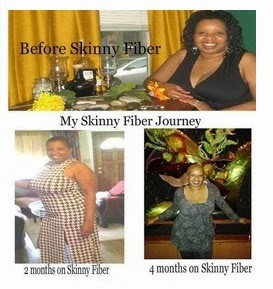 Read her Skinny Fiber weight loss story! Siddett was a diabetic for 16 years. She lost 25 pounds with Skinny Fiber and off her diabetes medication as of October 2013. This is her story! If you would like to learn more about Skinny Fiber and how it can help you with weight loss, here is an article on how Dietary Fiber Helps The Body and then visit What Is Skinny Fiber for details on all of the ingredients. Understanding Adult Obesity. National Institute of Diabetes and Digestive and Kidney Diseases. http://www.win.niddk.nih.gov/publications/understanding.htm. Accessed November 24, 2012. 2013 Medical Innovation Summit. Top 10 Innovations for 2013. http://www.clevelandclinic.org/INNOVATIONS/SUMMIT/topten/2013/one.html#.UpIfM8Trz1o. Accessed November 2013. Cleveland Clinic Study Shows Long-Term Metabolic, Cardiovascular Effects of Bariatric Surgery in Obese Patients with Type 2 Diabetes. http://my.clevelandclinic.org/media_relations/library/2013/2013-09-19-cleveland-clinic-study-shows-long-term-effects-bariatric-surgery-obese-patients-type-2-diabetes.aspx. Accessed November 2013. The Costs of Diabetes. http://www.diabetes.org/advocate/resources/cost-of-diabetes.html. Accessed November 2013. The Journal of the American Medical Association. Bariatric Surgery for Weight Loss and Glycemic Control in Nonmorbidly Obese Adults With Diabetes. http://jama.jamanetwork.com/article.aspx?articleid=1693893&resultClick=3. Accessed November 2013. Skinny Fiber Weight Loss Success. 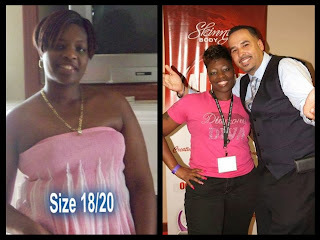 http://www.pinterest.com/healthyfoodlife/skinny-fiber-weight-loss-success-stories. Accessed November 2013.